Greg Autry explained how boycotting Chinese goods could cause a sea of change and that even a slight drop in the GDP would force a change in leadership. He explained that this was because the delivery the economic goods are all that matter to those in the communist leadership, and if those in leadership are not delivering, others in the party will make sure to get rid of them. They followed up by saying that to help free Tibet, they believed that we have to first free China, because it’s the communist leaders who have a hold on Tibet, not the Chinese people. Have you seen this?! It’s ahhhmazing! Check it out! 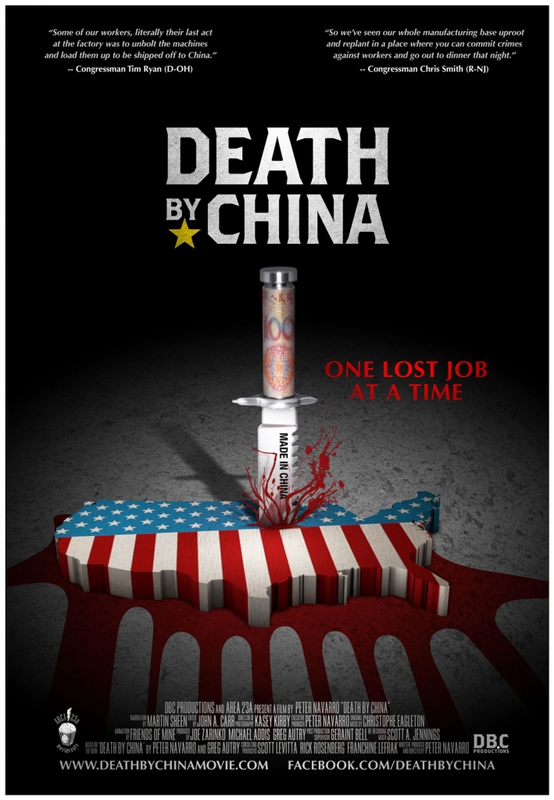 And then check make sure to check out if Death by China is playing at a theatre near you. If not, you can always check out the book on which it’s based.